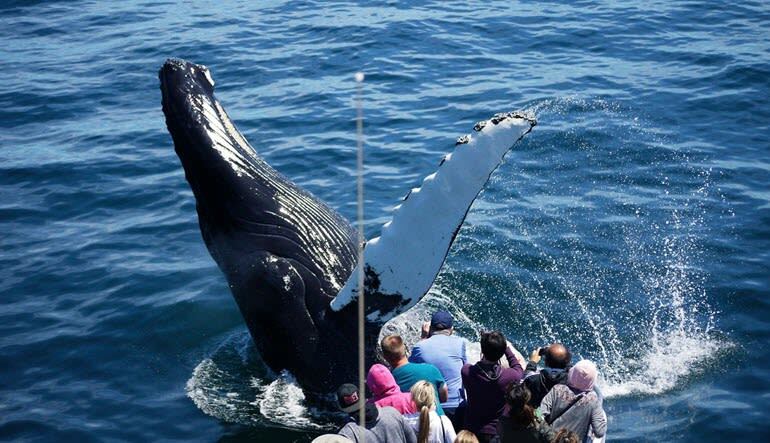 This tour area is home to humpback, finback, minke, and pilot whales, as well as critically endangered right whales. White-sided dolphins may also put in an appearance. The destination for every cruise is Stellwagen Bank National Marine Sanctuary, one of the world’s premier wildlife viewing areas right in Boston’s backyard. 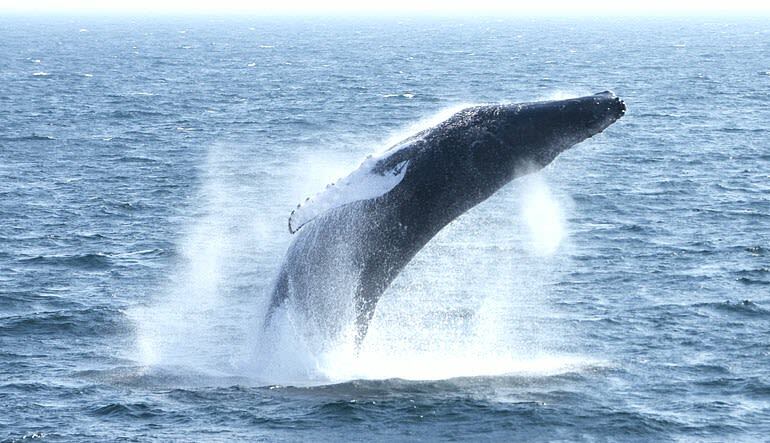 The area is home to humpback, finback, minke, and pilot whales, as well as critically endangered right whales. White-sided dolphins may also put in an appearance. Our high-speed catamarans feature outside decks for optimum viewing. Inside the climate-controlled cabin space offers cushioned “Captain’s” seating, state-of-theart sound and video systems, and a galley offering snacks and beverages for purchase. Naturalists trained by the New England Aquarium are on board each cruise to talk with you about all the remarkable marine life. You’ll learn how to identify species, how scientists track individual animals, and more. 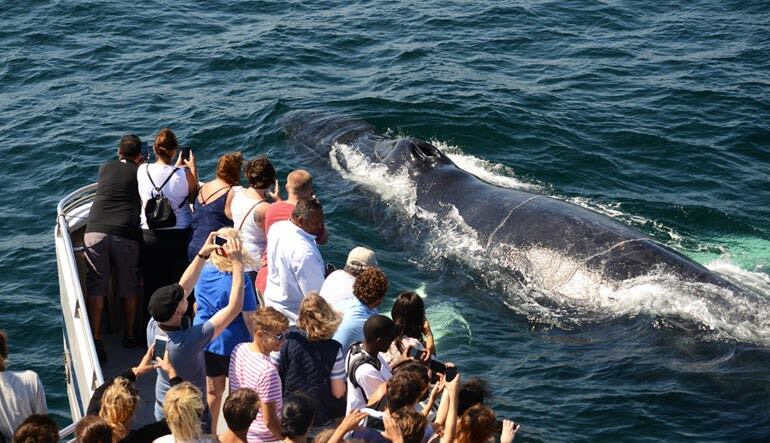 In fact, data collected on every New England Aquarium Whale Watch contributes to our further understanding of whales and their habitat. Beat the lines and order tickets online or from your smartphone today! Great from start to finish, saw lots of Whales and even a breach, so all good. Definitely go!!! The whale watch was an amazing experience! I’m not an emotional person, but when I was 25 feet from a female humpback whale and her calf, it moved me to tears. We had a fantastic time and saw several whales! The staff was so helpful in not only pointing us in the right direction, but also educating us on what to look for. We will definitely go again! Whale sightings are fully guaranteed. If there are no whale sightings on your trip, you will receive a free ticket for a future trip with us.